Here is another post with photo finishes! The finishing studio is humming where each week my clients challenge me with their work. There is always something new and interesting to see. 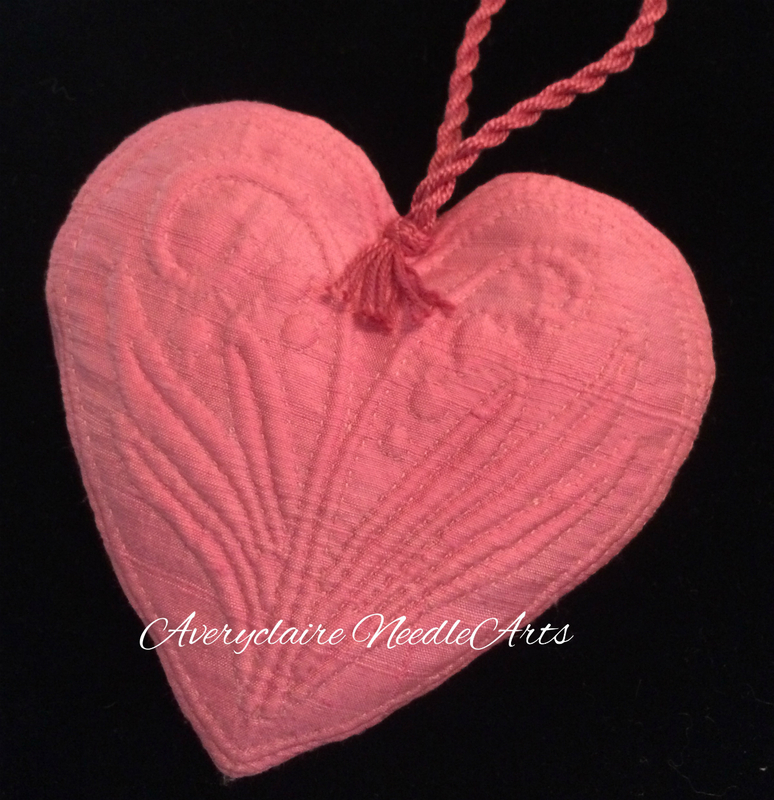 Enjoy the eye candy handiwork of my clients! 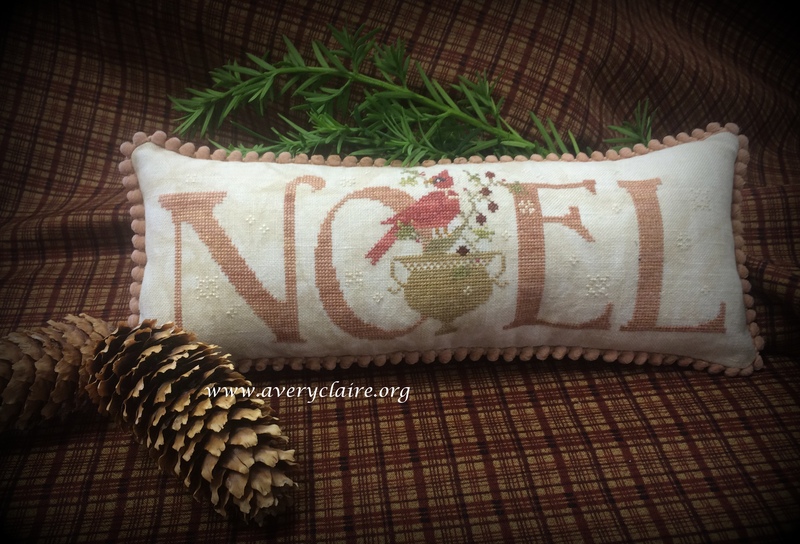 Vivian did this lovely Brenda Gervais small pillow “Merry Noel”. Since the fringe was unavailable for her, I hand dyed some mini ball fringe to match. It’s perfect. The soft colors in this piece are beautiful. Nice work Vivian. 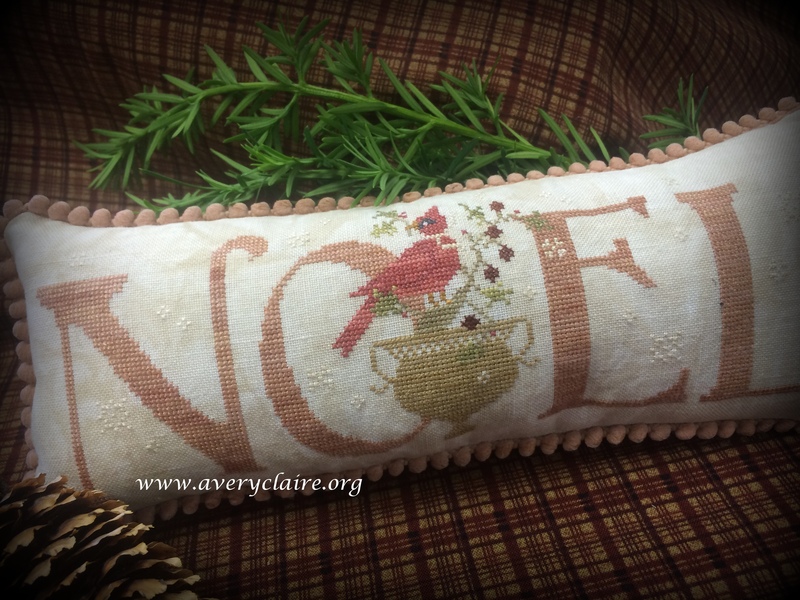 And Laura did an equally beautiful job on this Stacy Nash medium sized pillow entitled “Pine Tree Farm”. 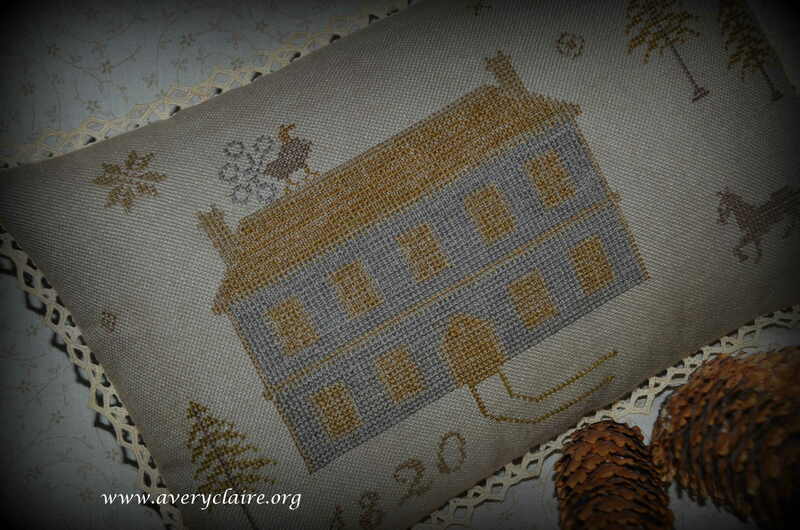 She gave me handmade antique lace to use as an accent around the pillow edge and the perfect fabric backing. It’s gorgeous! And the colors in this one are equally soft and delicate. Lovely! 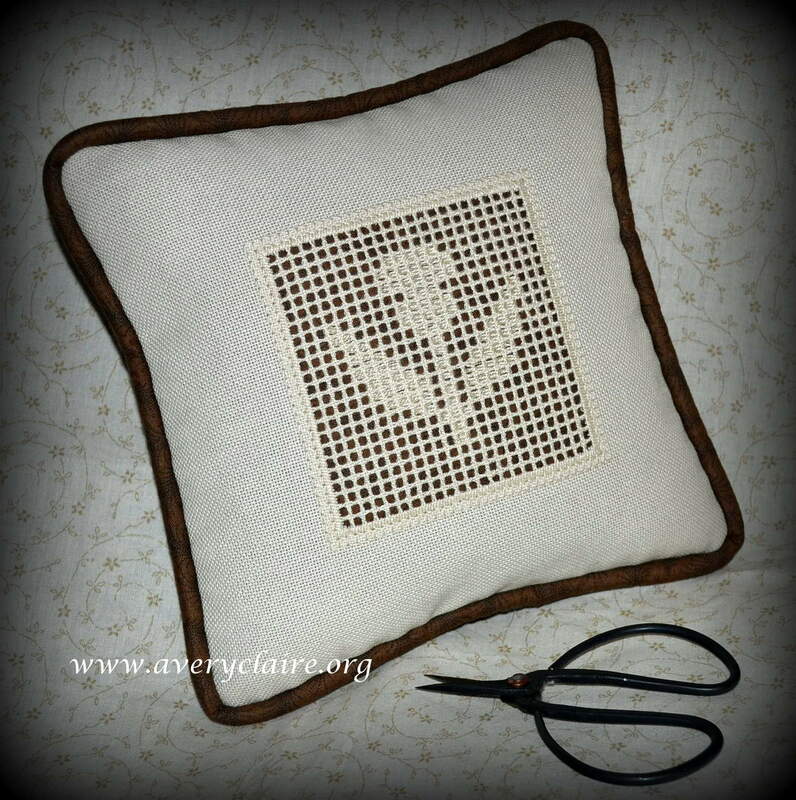 Judy created this beautiful white work pillow. 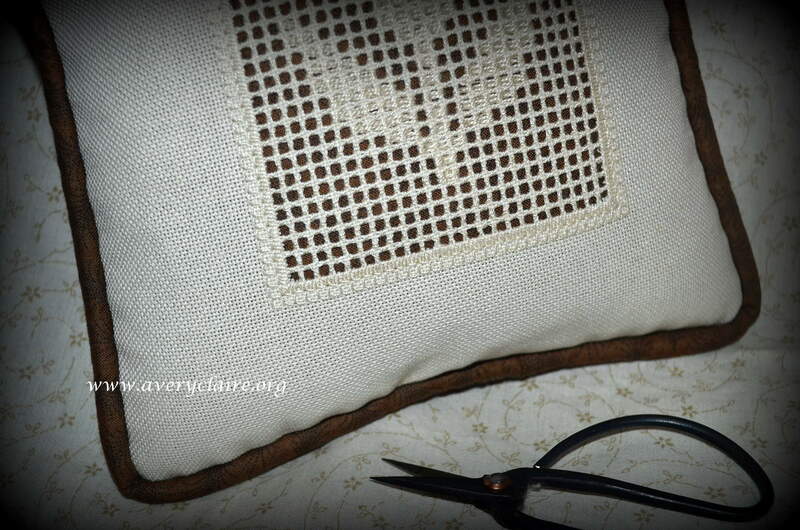 She wanted a brown backing behind the stitching, so I used the same brown fabric for handmade cording and the pillow back. 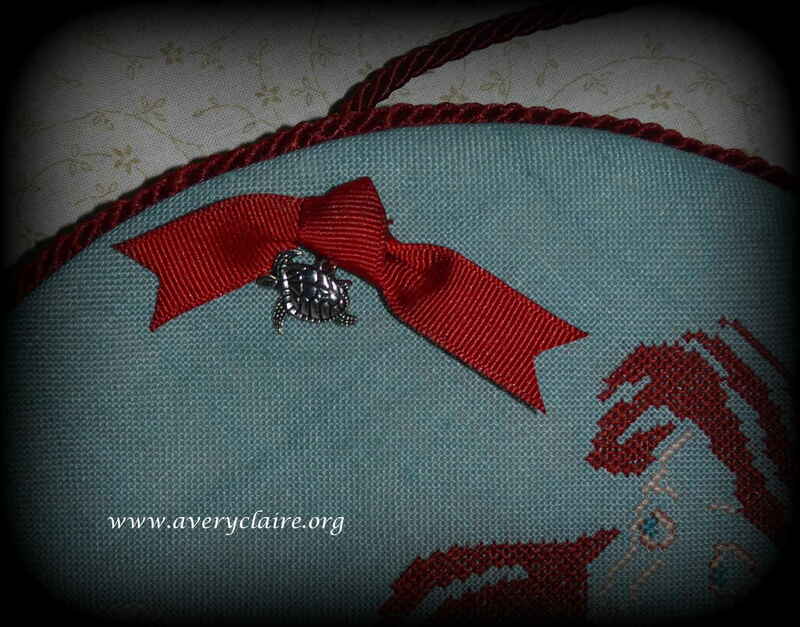 I included a zippered back so the pillow insert could be taken out if needed. 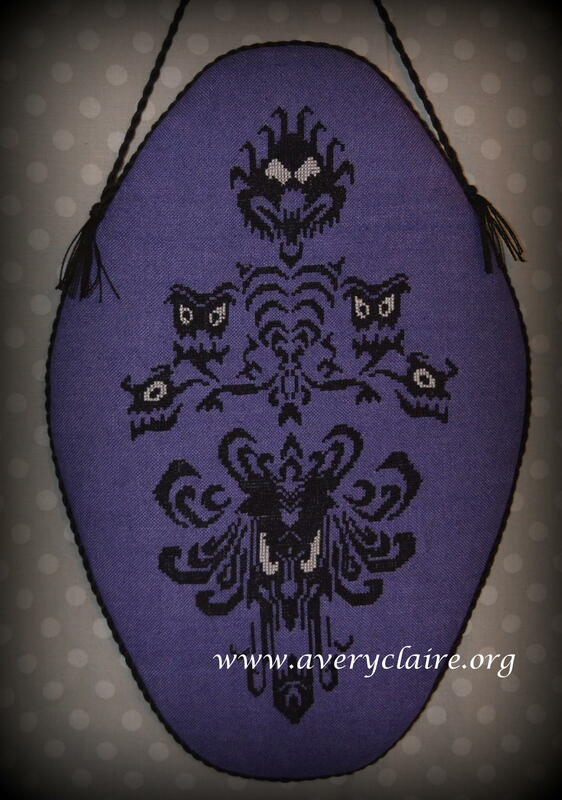 Such intricate detailed stitching! Pat did a couple of gifts for little ones this time around. She requested a rather large flatfold for the first one. 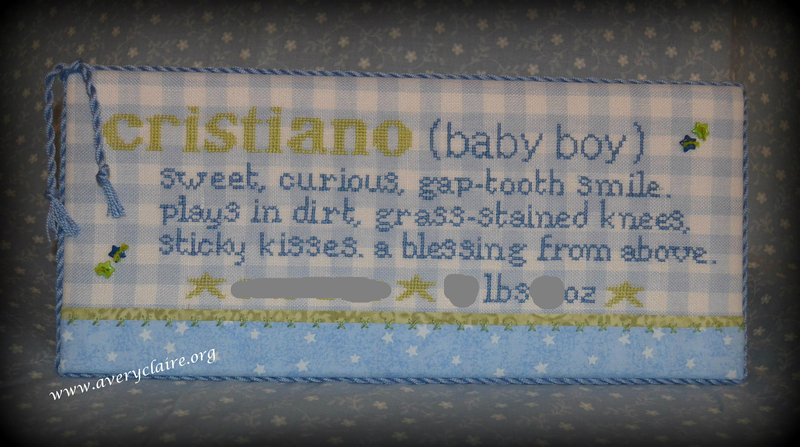 I added the “sticky kisses” across the bottom and the cute little matching buttons. 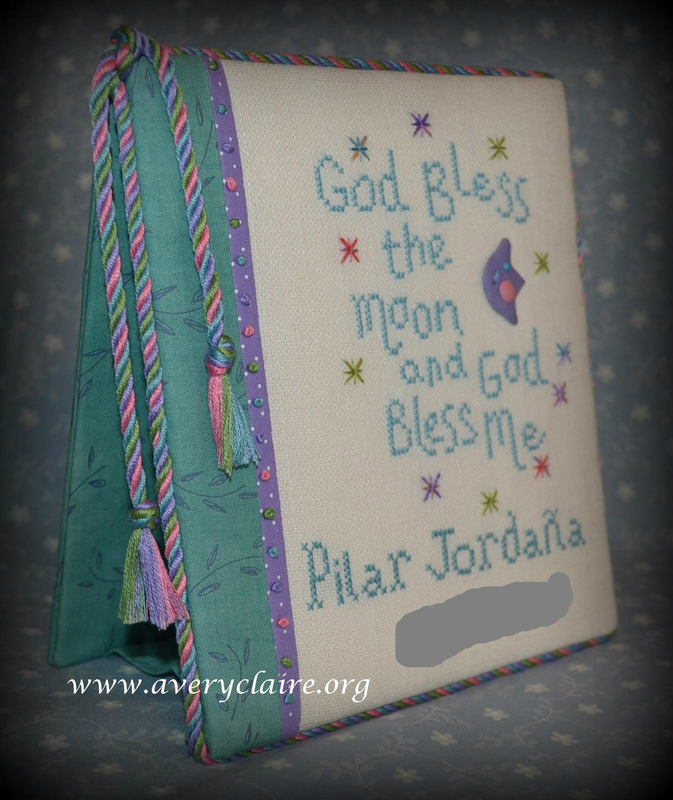 On the second one I added a handmade multi-colored cording with multi-colored french knots along the accent fabric. And for privacy, in the photos I have deleted the birth date and weight from both. Pat’s needles were on fire this last month and she created this very large wall hanging for someone who just LOVES Halloween. The tomb-like shape just adds to the fun! 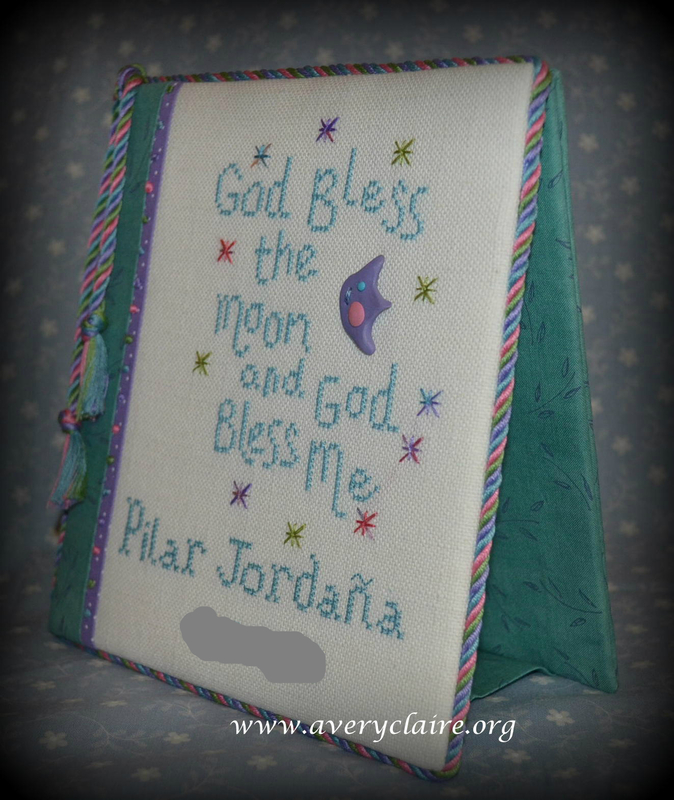 She also did these two cute wall hangings as Christmas gifts. 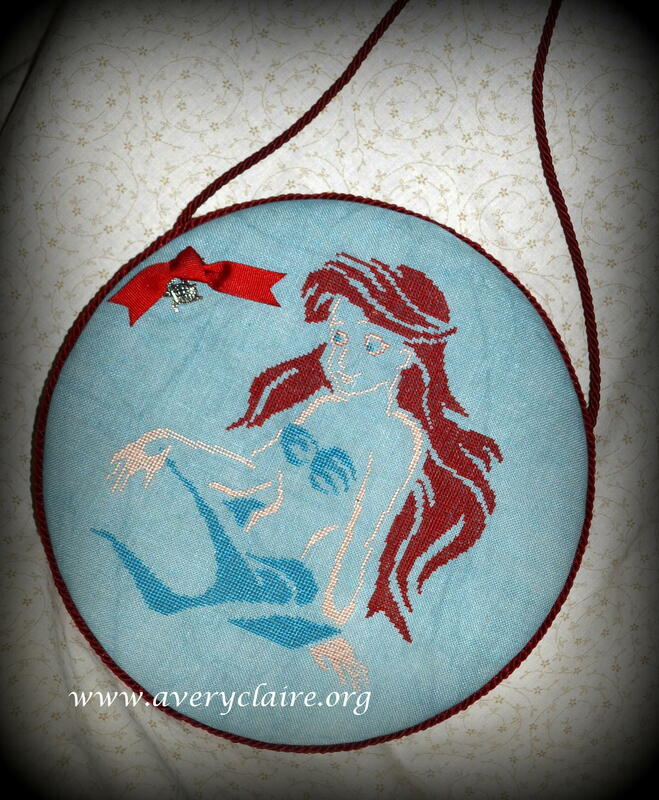 All the little girls seem to LOVE the Disney Princesses, especially the mermaids. 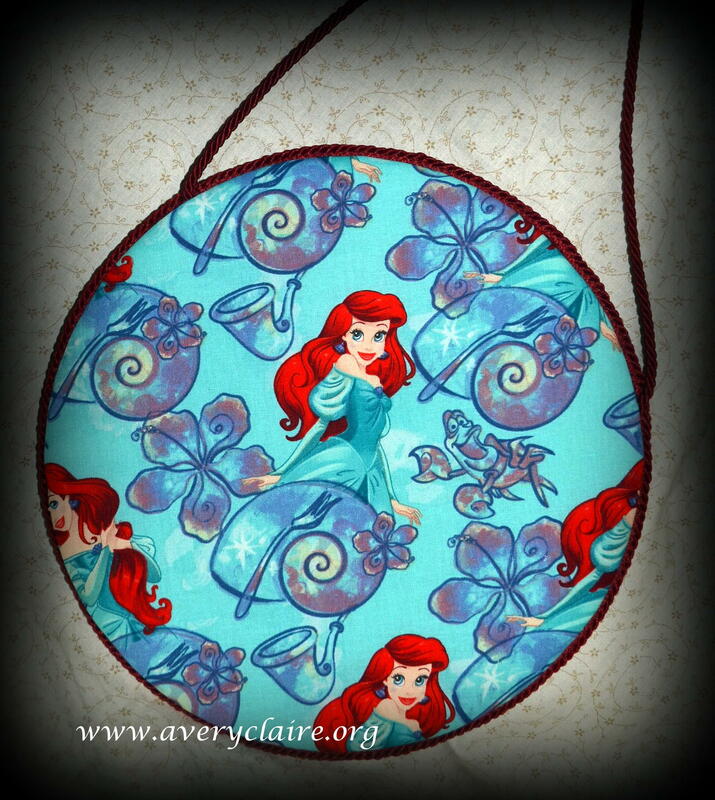 Here is one of Ariel! 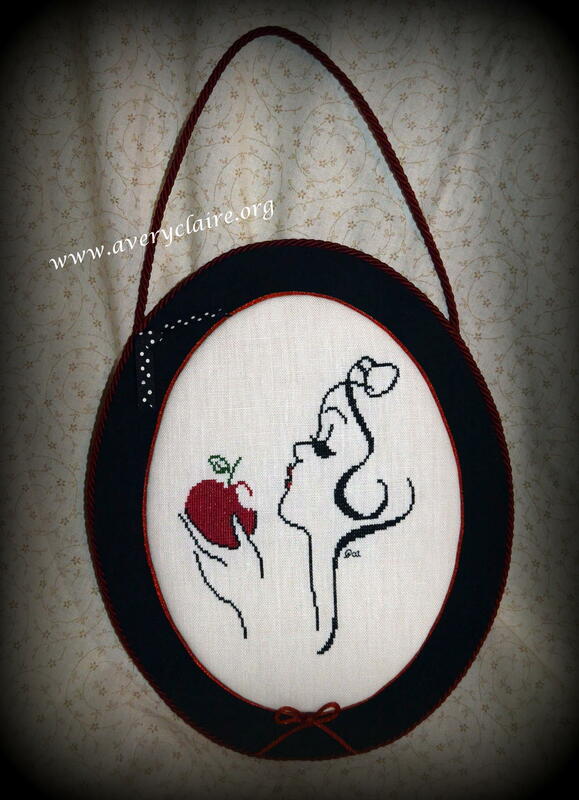 And another one of Snow White…this one is certainly elegant with the rosy red apple and the red rattail trim around the perimeter of the stitching! 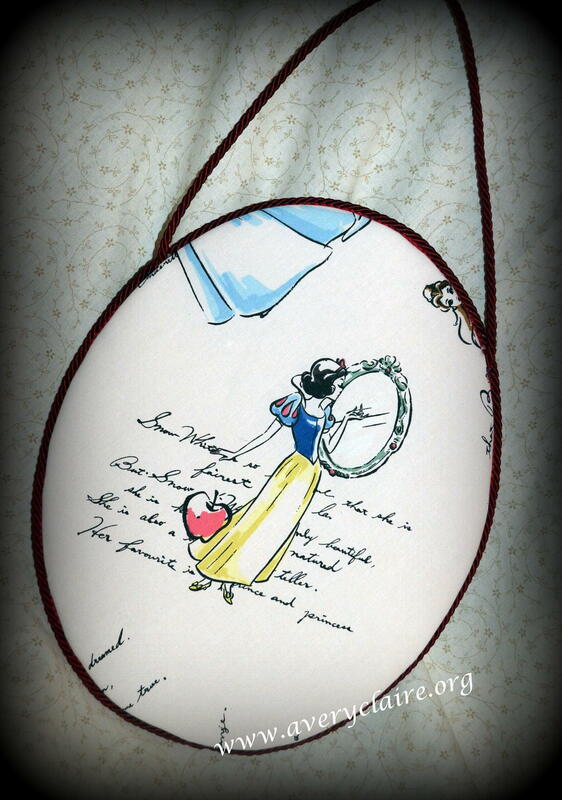 I LOVE the Disney fabrics on the back! These little girls will love to look at both front AND back!! If you are interested in learning Boutis (a simple running stitch and corded French needle work technique), I now have on my Etsy page not only a kit for the three ornaments I designed (containing ALL materials needed for the three ornaments), but a “pattern only” choice, as well as the “hard to find” special cotton yarn that is needed for the kit. I have lots more photo finishes…so come back again soon! Thanks so much for your continuing visits!